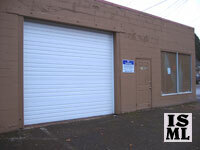 Look for the white garage door on 22nd Avenue across from Central Rentals and the River Roadhouse. * Production facility. Please schedule a visit or tour.